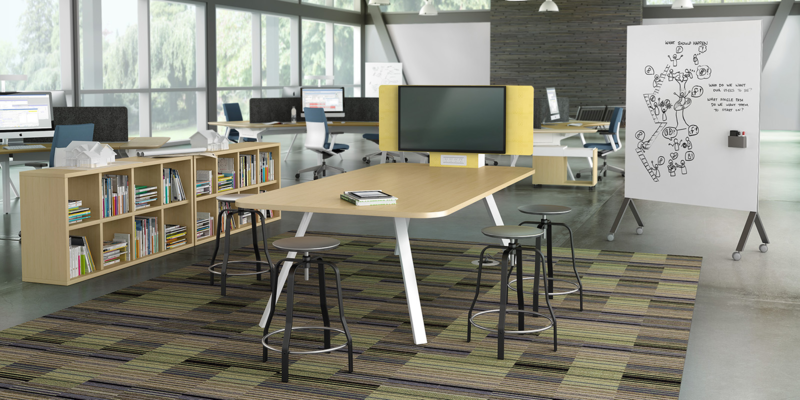 While it may sound counterintuitive, seating is also an important aspect of any workstation. According to a recent study, standing for hours on end is no better for your health than sitting for hours. 1 Alternating postures and taking breaks from standing when using a sit-to-stand workstation is crucial to remaining comfortable throughout the workday and for reaping the long term health benefits. 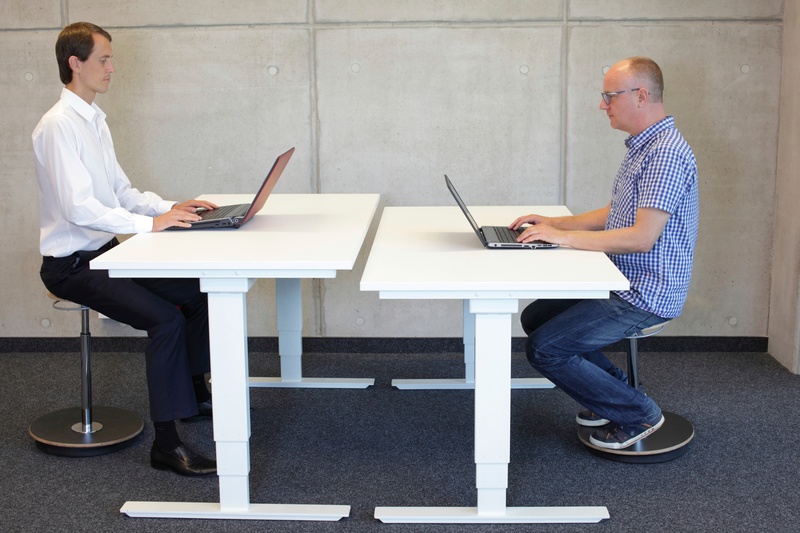 Fortunately, balancing sitting and standing time, and experimenting with alternative postures such as sitting, lounging, and kneeling has gotten increasingly easier as workstation adjustability has gotten more widespread. "Active seating” may sound like a contradiction of terms, but it’s true that different seating types will promote different postures and behaviors. Below is a review of readily available and popular chair alternatives, along with some brief pros and cons. If these height options are suitable (will vary by individual), these seats can be utilized at the workstation. They may also be good candidates for public areas or hoteling stations, due to their limited comfort. Better known as a shop or drafting stool, adjustable stools are an excellent match for a sit-to-stand height adjustable workstation. Stools that are able to adjust from chair to bar height (22” to 36”) can accommodate individuals of varied stature as well as various working positions, including sitting and perching. Perching is a position between sitting and standing height that involves resting on a minimal, slightly angled seat. Unlike standing, this posture takes the weight off of your feet while maintaining more muscle engagement through the thighs and core. Many specially-designed perches do this by flexing or moving under your weight. A perch typically has a rounded seat front, slight forward lean and an adjustable, intermediate height which encourages a greater angle (around 130 degrees) between the hips and torso. This is sometimes referred to as “neutral posture,” which is a position that preserves the S-shaped spinal curve associated with healthy alignment. Saddle seats are modelled on a horseback rider’s position in a saddle. The logic behind this design is that the shape of the seat allows the thighs to drop, opening the torso-hip angle beyond 90 degrees which promotes the spine’s natural S-shaped curve (similar to a perch). This design also enables forward and backward movement in the seat, and can be sat on creatively in forwards, backwards or sideways positions. Saddle seats can take the form of basic, backless stools to adjustable task seats complete with chair backs head rests. At a minimum, they often have casters and basic vertical adjustment. The kneeling seat, or Balans chair, was designed by Norwegian designer Peter Opsvik in 1979. It too is focused on opening the hip-torso angle while also engaging the core and back muscles. A gentle rocking motion grants greater forward reach and promotes active rather than passive sitting. Also available with a backrest. Exercise or stability balls have become a popular chair alternative; a variety of chair-styled products that incorporate exercise balls are available on the market, including exercise balls with feet, germ-resistant covers, and backrests. The benefits of using an exercise ball as a seat are less than clear, though. One 2008 study cited greater energy expenditure while seated on an exercise ball than in a traditional chair. 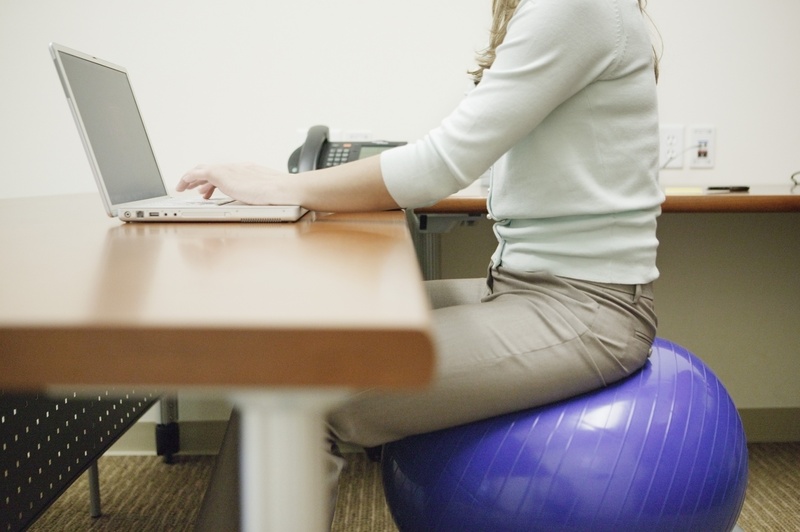 2 Conversely, many workplace safety experts caution against using exercise balls due to the possibility of trips and falls. Regardless it remains a popular choice among office dwellers of all kinds. Seating has always been a somewhat personal matter; in addition to fit and comfort, chairs often reflect personal status, brand, and design sensibility. 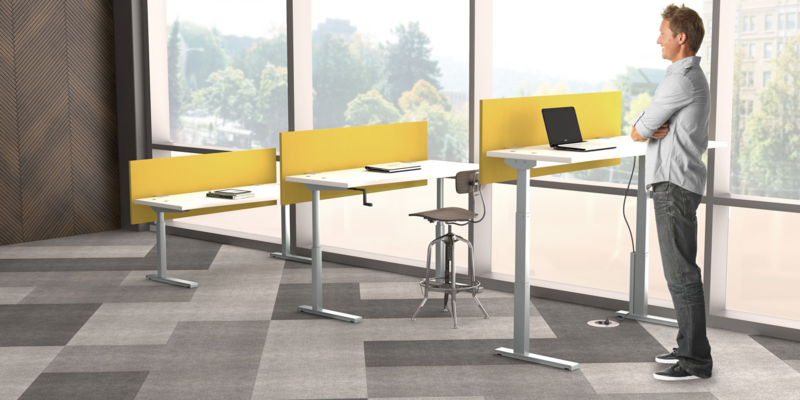 Few of these products will work for every individual or every office, but by being aware of the range of options available, and by being open to experimentation and variety, offices may increase utilization of sit-to-stand workstations and potentially make a difference in worker health and wellness in the long run. Beyond what we’ve reviewed here, there are many other creative seating solutions or standing accessories are available on the market today. We’ve collected those mentioned here and other potentially viable office seats on our Pinterest board, Seating for the Active Office.